There are 4 cat videos tagged with hunting. 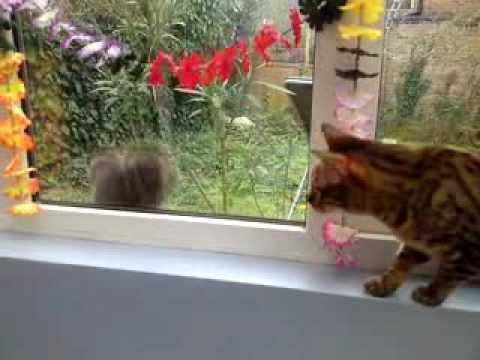 Two Bengal cats try to catch a squirrel that's soooooo close, but separated by a window. Watch until the end to see what happens when one of the cats jump at the squirrel. Kit the cat is an adorable little hunter. 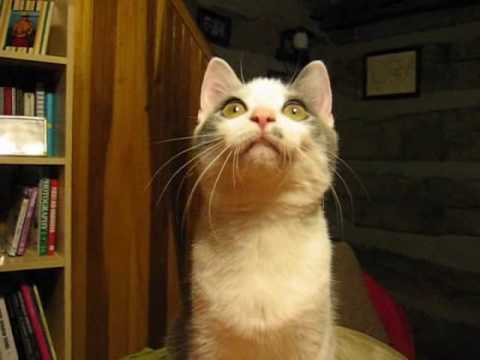 She spots a moth on the wall and starts chattering. Chattering may sound alien-like but it's not unusual for a cat to make this noise when they see prey they would like to eat.